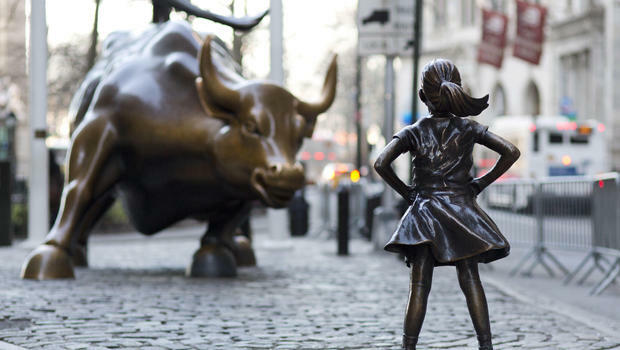 The fearless girl stands before the iconic Wall Street, "Charging Bull." After months of sustained growth, it has been a week of volatility for the U.S. stock market. The Dow Jones fell 800 points on Tuesday — on investor fears of an ongoing trade war with China. Then came a brief intermission. The stock market was closed on Wednesday as the country was mourning the recent death of the 41st President George H.W. Bush. But the additional day did not seem to reassure investors, as the Dow started with another huge drop on Thursday. At one point, it was down 780 points. But it later rebounded late in the day to close near even. Sam Henderson, financial adviser at Henderson Wealth Planners in Fort Myers, said the volatility is not surprising given the overall trends of the economy. In 2009, the Dow plummeted to about 6,600 points, which is a quarter of the stock market’s value as of its close on Thursday. Some investors said the unpredictable nature of the stock market is reminiscent of the fear they felt during the 2008 recession. But Henderson said the fundamentals of the economy are much stronger now than it was then. So there is no need to panic.